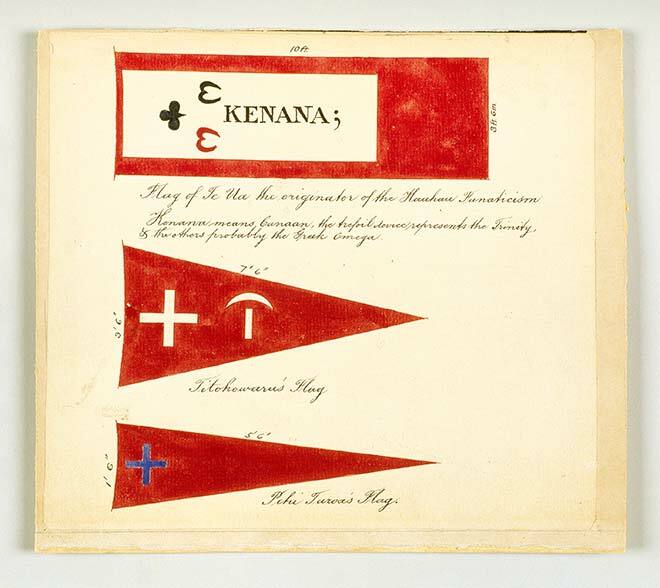 The top flag here, inscribed with the name Kenana (Canaan), is that of Te Ua Haumēne. It symbolises Te Ua's identification with the Jews in the Bible. The middle flag was Tītokowaru's and the bottom flag Peehi Tūroa's. Both were followers of Te Ua Haumēne.